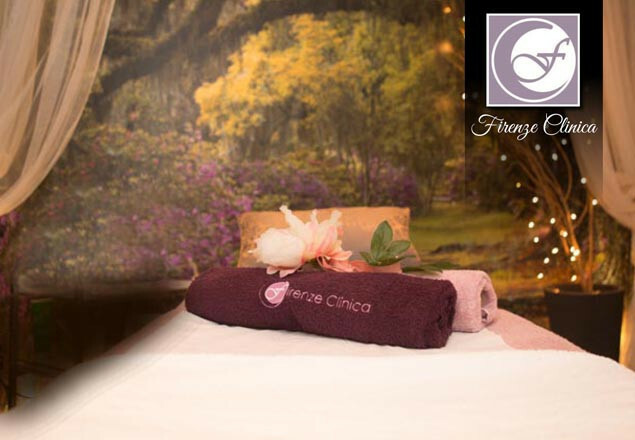 At Firenze Clinica we put together treatments to make sure, that we all are ready and feeling truly FABULOUS in every meaning of the word, for this Summer. We got inspired by Mimosa Elixir together with Cocao Bean, as they both works in an amazing way to keep the skin very firm, wrinkle free and young. High in antioxidants, Vitamin C, Omega 6 fatty acids and magnesium, helps keeping skin healthy and rejuvenated. This anti-aging facial uses the full power of Firenze's Swiss Cacao Beans Product Range to leave your skin tauter and glowing with vitality. A gentle series of relaxing steps with a coconut cleansing your skin, followed by a facial with the very powerful antioxidant properties that cocoa and mimosa possesses, which are capable to reduce inflammation of the blood vessels while improving circulation. Two very important factors when fighting premature aging. Cocoa beans have several ingredients which have an amazing effect on your skin - phenolic phytochemicals (polyphenols), including flavonoids, procyanidin, and resveratol. In fact they are present at such high concentrations, that cocoa actually has higher antioxidant potential than other heavy weight antioxidants such as green tea or red wine. As always they infuse the facial with their renowned Vitamin C Serum. Suitable for all skin types. Designed to naturally improve the condition of the skin on the neck and decollete and enhance its appearance by the removal of dead skin cells. Deeply regenerating and anti aging mask, full of Vitamins and minerals will boosts cell regeneration and helps reduce the appearance of fine lines and wrinkles. With Firenze's Balance Restoring Eye Treatment - tired, wrinkled, puffy eyes will tighten and be intensely moisturized with their newest add on treatment formulated specifically for the delicate eye area. This luxury treatment has been a favourite cosmetic secret with the stars, and is now available to normal people like you and me! Saturating life back into dull and dehydrated skin, this detoxifying ritual dramatically improves the appearance and texture of the skin using a moisturizing jet stream to hydrate and resurface. The Jet Peel works by infusing oxygen into the deep dermis to recharge cells and stimulate your skin to produce new collagen. You will instantly feel and see results after your first treatment, which is suitable for all skin types, even the most delicate of skins. It is the best non-invasive technique to reduce fine lines and wrinkles. A great choice for aged skin, open and clogged pores, acne and congested skin. It is a fantastic resurfacing treatment; suitable for surface pigmentation and scarred skin, while all the time hydrating to refresh dull and dehydrated skin. A safe, new idea for skin rejuvenation, which delivers results. It removes facial blemishes and tightens large pores. It's deeply cleansing and improves the elasticity and tone of the skin. It is known to remove scars, wrinkles on lips, under eyes and spider veins as well as acne and acne scars. This treatment restrains inflammation, accelerates blood circulation and repairs damaged skin. The Body Brushing treatment will improve your optical skin quality as well as exfoliate your skin, boost blood circulation, aid the Lymphatic system, help reduce cellulite and in-grown hairs as well as invigorate your well being.